Reduced blood capillaries in the back of the eye may be a new, noninvasive way to diagnose early cognitive impairment, the precursor to Alzheimer’s disease in which individuals become forgetful, reports a newly published Northwestern Medicine study. 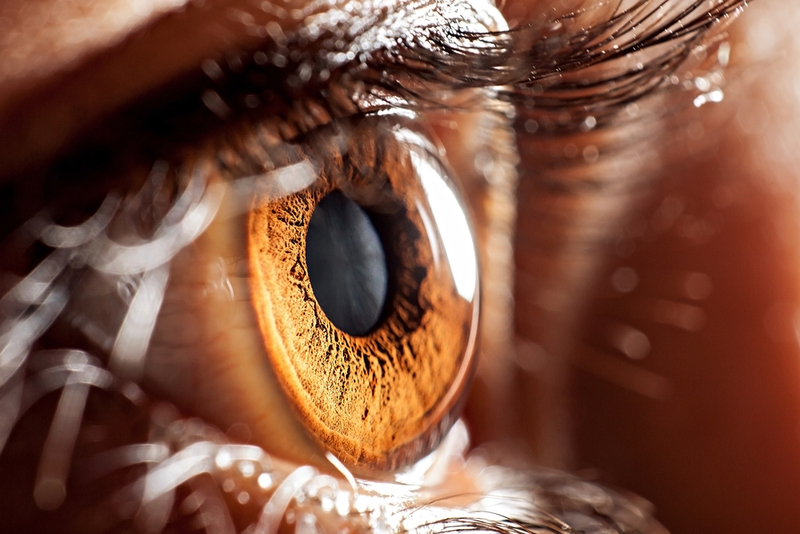 Scientists detected these vascular changes in the human eye non-invasively, with an infrared camera and without the need for dyes or expensive MRI scanners. The back of the eye is optically accessible to a new type of technology (OCT angiography) that can quantify capillary changes in great detail and with unparalleled resolution, making the eye an ideal mirror for what is going on in the brain. Therapies for Alzheimer’s are more effective if they are started before extensive brain damage and cognitive decline have occurred, added Fawzi, the Cyrus Tang and Lee Jampol Professor of Ophthalmology. The study was published April 2 in PLOS ONE. It’s known that patients with Alzheimer’s have decreased retinal blood flow and vessel density but it had not been known if these changes are also present in individuals with early Alzheimer’s or forgetful mild cognitive impairment who have a higher risk for progressing to dementia. Multicenter trials could be implemented using this simple technology in Alzheimer’s clinics. Larger datasets will be important to validate the marker as well as find the best algorithm and combination of tests that will detect high-risk subjects, said Sandra Weintraub, a co-author and professor of neurology and of psychiatry and behavioral sciences at Feinberg. Weintraub and her team at the Northwestern Mesulam Center for Cognitive Neurology and Alzheimer’s Disease recruited 32 participants who had cognitive testing consistent with the forgetful type of cognitive impairment, and age-, gender- and race- matched them to subjects who tested as cognitively normal for their age. All individuals underwent the eye imaging with OCT angiography. The data were analyzed to identify whether the vascular capillaries in the back of the eye were different between the two groups of individuals. Now the team hopes to correlate these findings with other more standard (but also more invasive) types of Alzheimer’s biomarkers as well as explore the longitudinal changes in the eye parameters in these subjects. Other Northwestern authors are first author Yi Stephanie Zhang, Nina Zhou, Brianna Marie Knoll, Sahej Samra and Mallory R. Ward. This research was supported by the Illinois Society for the Prevention of Blindness and National Institutes of Health grants DP3DK108248 and NIA-AG13584.